Gröbenzell – The PrintCity Alliance is inviting brand owners, designers, printers and finishers to take part in its Packaging Inspiration Forum for the second time. Following the successful launch in Düsseldorf in April, this series of events is now to be continued in Hamburg on 19 and 20 February 2014. Together with other hot topics, new possibilities in finishing, digital printing and the smart packaging field will again provide a highly interesting basis for visitors to gather information and engage in discussions. Mercian Labels wins prestigious industry award! by labeller • October 14, 2013 • Comments Off on Mercian Labels wins prestigious industry award! To open a food business there are some requirements you need to meet. Here is a summary of the FDA’s guidelines for how to start your own food business. With visitor numbers at its stand up over 30 percent on 2011, numerous promising contacts and impressive machine sales in the double-digit range, Gallus enjoyed an excellent Labelexpo. Due to the many new suppliers of digital presses, countless visitors were looking for guidance in their decision-making process to ensure future-focused label manufacture. With the Gallus Print Shop concept, Gallus demonstrated the practical combination of digital and conventional printing methods along with the finishing of printed rolls in the production environment – an impressive portfolio of solutions. Global Graphics Machineries Pvt. Ltd. specializes in providing printing & converting solutions to the graphic industry. 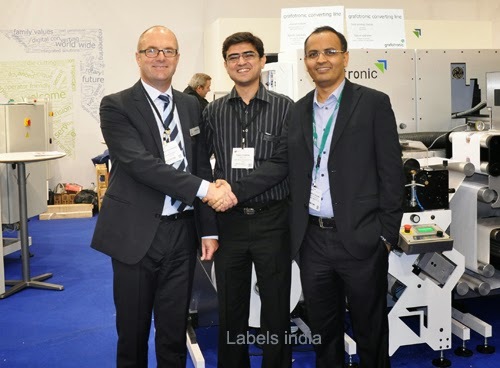 The company represents foreign label printing & converting machines manufacturers including Grafotronic – Sweden, Bang Sung Machinery – Korea, Weigang Machinery (formerly Ruian Donghai Machinery) – China and Hontec – China as their exclusive agents for the Indian sub-continent. The post Flexographic Press Operator – Employment Opportunity appeared first on Creative Labels of Vermont Inc..